The energy transition that is underway in the UK cannot be denied; the gigawatts of energy resources connected below the transmission system have already fundamentally changed how energy is produced and distributed. 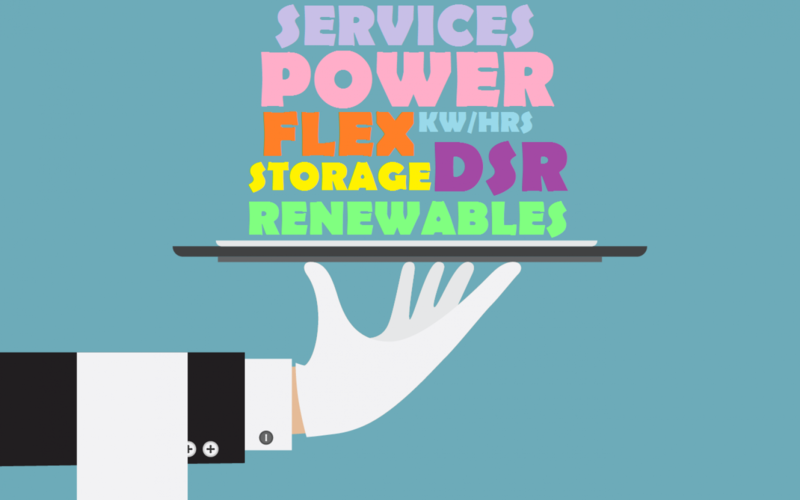 Renewables, energy storage, interconnectors and demand side response have all contributed to this transition, with the most obvious effect seen in the shift towards neutral but active market facilitators by distribution network operators (DNOs). While no one can deny the changes to how energy is produced and sent to homes and businesses, the effect on how consumers pay for this is less established and therefore less discussed. But this too is changing, with rumblings throughout the supplier sector and beyond of a new model – one that moves away from tradition to a world where the pay-per-unit transaction is on its way out and energy as a service emerges. In a centralised system kept stable by large power stations, costs have often been dictated by operational constants; fuel costs accrued by fossil fuel generation being passed on to the consumer. But in a world where renewable generation is growing and, through national decarbonisation targets, is likely to continue to do so, the model changes. High capital costs of construction associated with the likes of solar, wind and renewable heat assets are readily offset by the near zero costs of fuel, fundamentally changing how the costs of energy are calculated. “[Of] all the component pieces of the future energy system, most don't have a variable cost to them with usage and so therefore the marginal costs of producing energy doesn't vary too much with production,” explained David Hill, commercial director at Open Energi, which uses energy management systems to aggregate and optimise distributed energy resources in real-time. The impact of the predictable nature of these costs offers a stark change from the energy system of old, where ongoing generation costs were met by kWh unit payments in a market where consumers would use more and more energy to the benefit of suppliers. Having entered the energy market almost 20 years ago, Juliet Davenport, chief executive of Good Energy, has seen how this status quo has changed over time. “This market doesn't look like that anymore, so you can't accept that a margin model is going to work in the future. And actually that's probably a really good thing, because what it means is energy companies are not incentivised to get people to use more power and be wasteful with it. “You build a business model that puts the customer at the heart of it, and using energy efficiently,” she said. While impactful, the rise of renewables and zero marginal cost generation is not enough in itself to see energy as a service brought forward. However, other factors have emerged to make it the model a real possibility. Davenport agrees, saying that since 2004 when Good Energy first saw an opportunity for a consumer centric, ‘bottom-up’ approach, the idea is now “coming of age” with the help of facilitation technologies like control and management systems, digital blockchain, 5G and smart functionality. Another contributing factor is the scrutiny placed on energy costs by the public and, by extension, the government. Despite consumers generally using less energy than before (itself a threat to the traditional kWh-led supplier model), they continue to be faced with price increases. In June E.On announced it would hit its near 2 million customers with an almost 5% increase, the second this year. This followed British Gas increasing both its electricity and gas prices by 12.5% and 5.5% respectively since last September, a move branded as "unjustified" by even the government. Both blamed wholesale cost pressures – Ofgem has said costs faced by suppliers rose 5.3% between 1 February and 1 May – although the millions of customers being lost to smaller suppliers could have had a role to play (if you’re of a cynical mind of course). The incoming price cap and the continued focus on switching from government could address this, but the opportunity is there for suppliers to adopt a new model. 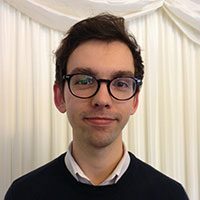 Writing for Current± recently on the subject, chief economist of The Faraday Grid Richard Dowling explained the essence of energy as a service as “[doing] away with charging customers for how much energy they use, focusing instead on how they use energy”. Rather than paying for the number of kilowatt hours consumed, you will instead enter into an agreement where you could pay a monthly subscription at a competitive fixed price, rather than a cost per kWh. Sound familiar? This is the model adopted by the telecoms and internet industries en masse, whereby a network already in place is used to deliver a marginal cost service. Where pay as you go credit agreements used to see customers pay for the texts they sent and the minutes they spent, contract agreements have taken hold whereby a fixed bill is paid covering a set amount of texts, minutes and data with added payments for those that go over their agreed limits. Hill sees this as a future for energy suppliers: “They could lend themselves to energy as a service within certain volume thresholds but if you break those thresholds there is a charge to it. Once these thresholds have been determined, it is at this point that other factors can be included in the deal – providing flexibility for example. “Having flexibility reduces the cost of the energy transition and because of this, National Grid and others who have the responsibility of maintaining security of supply want to look to those with demand side resources to provide those services [and they] are willing to pay for it,” Rotheray explained. It is for this reason that energy as a service has already emerged in some markets for commercial and industrial (C&I) consumers, where firms – and the suppliers they work with – have greater access to demand side flexibility. While undergoing energy charging reforms of its own, the UK’s C&I sector is generally faced by high energy costs calculated during specific times of usage. Triads are a prime example, whereby peak electricity demand is determined by the three half-hours of highest demand on the electricity transmission system between November and February each year. Technologies like battery storage and demand side response have emerged to allow firms to shift their energy use outside of these periods, essentially allowing them to move out of time of use charging. This allows companies to make significant savings which, depending on the service agreement, can either be kept in their entirety or shared by the service provider. Meanwhile, said provider can make their own revenue (or again, split with the host business) from managing the site’s load to offer flexibility to the energy system. Such activity has in turn meant that time of use charging is no longer as effective, with predictive services generally getting these instances spot on and allowing companies to essentially move their peak to a different period. Hill expects that this will mean such charging will move to “a much more fixed structure”. This is already working in places like California, where a combination of high demand charges, ready and willing technology providers and policy and regulatory support for clean energy have converged. Here, the customer pays a fee to an energy storage provider, who in turn commits to delivering bigger energy savings to the customer via demand charge reduction or management. This offers the first prime opportunity for an energy as a service model; install some hardware or load management architecture, reduce a client’s energy spend as well as benefit from any other behind the meter opportunities while sharing in revenues from grid services and flexibility payments – all of which can be estimated with some degree of predictability from the outset. Hill explained: “If we can unlock a reliable and predictable amount of flexibility from a combination of DSR, storage and maybe green gas, we could fix your tariff for the next few years as a service as opposed to a usage based model. This works for the adoption of renewable energy into the system as well, with C&I consumers’ demand times to match with that of high renewable generation on the system. Assuming such scheduling can be ensured and again within the thresholds outlined in advance, as if something breaks down or demand exceeds what is expected, the model flips back to punitive kWh pricing. However, assuming all is as it should be, Hill claims the worse case scenario for businesses would be long term predictability of energy costs – an increasingly attractive thing for those subject to the whims of variable energy pricing. At best however, energy as a service becomes a cheaper option than the status quo once savings and any potential revenues are taken into account. Of course it’s not surprising that C&I energy users are already more inclined towards energy as a service, with the ability to tackle energy costs sometimes the difference between staying in the UK or moving overseas to a market with cheaper energy costs or more inclined towards such a model. Tackling any energy issue within the domestic sector has always been more of a challenge, with households generally more apathetic towards energy issues despite the fluctuating costs outlined previously. The lack of flexibility on a domestic level is also an issue, with homes often not equipped to provide the resources needed to deliver revenues for third parties coming in with a new offer. This is in spite of the decarbonisation agenda, which still needs to address housing emissions that account for the lion share of those from buildings. Suppliers are however faced with the culture of switching, whereby consumers are fed the line that the only way to save on their bills is to regularly switch to a new supplier. But, say a supplier comes to you as a homeowner with an offer to install some hardware, such as a battery or a heat pump, and manage that asset. This would come with a fixed tariff over a relatively lengthy period to pay off the cost of that asset while gaining long-term revenue using aggregated capacity from its other customers. What happens then if you want to switch because you think you can get a better deal elsewhere? Who then manages the asset? Cracking this conundrum therefore becomes the first task in moving domestic consumers to an energy as a service model, particularly those without the cash, time or inclination to properly manage their own energy. This therefore offers an opportunity, as Rotheray explains: “If you are, like a typical consumer, understandably capital limited you are likely to make quite short term capital decisions. “So if you are going to move to a decarbonised world…then you quickly come to a conclusion that there needs to be a mechanism whereby the energy customer can chose what they want, which is comfort, but that someone else is able to help them navigate all the different decisions that need to be taken and effectively do that on their behalf. That's really what energy service is about. While it could be assumed that larger suppliers, with incumbency issues and set cultures, may find this difficult to adapt to, Rotheray added that figuring out how to crack this model is more important than the size of the entity that does it. Davenport, being one of the newer breed of independent suppliers with a focus on decarbonisation, unsurprisingly, disagrees. “A lot of the incumbents have customers basically inherited by the split of the energy market in 1998, and so there's potentially less they can do with that customer base,” she said. Whoever does it, the trick will be to deliver comfort, mobility and reliable power at an affordable cost while managing flexibility for the customer to deliver value. If all these stars align, why would a customer want to switch? Should a supplier convince households to adopt energy as a service, the use of hardware over the long-term may not be an issue, particularly if as part of a contract there is provision for payments to occur after a switch, whereby the home and supplier enter into a reduced transaction dedicated solely to that asset. Both Hill and Rotheray agree that any future model will likely offer a combination of hardware and software, offering a source of flexibility and the service to manage it along with the rest of a households’ resources. “If I'm already managing for example your heat pump for flexibility, and if you've got an electric vehicle and solar panels and a battery, I'm already managing one so I may as well manage the others because that gives more strings to my bow in what I can do for you,” Rotheray said. Again, this will depend on convincing the customer to stick with the long-term structures needed to deploy these resources. Good Energy has already set about building the platform that will allow it to take an offer to customers - watch out for something in 2019/20 - with Davenport expecting the emergence of energy as a service to be inextricably linked with the decarbonisation agenda. “Rather than making a margin on electricity that you supply, we're going to see far less electricity supplied from across the country because people will be generating their own, and actually what they really want is a service to make sure that that power’s balanced, that it's being used most effectively, that there's a low waste approach to energy. That is a service that we then look to supply,” she explained. While there’s no way of knowing when energy as a service could become mainstream for households, there is emerging consensus that it will be inevitable and could spell trouble for those that ignore it. “It's very likely that they will become the more attractive tariffs in the future…If there are some suppliers that are holding on to some sort of variable usage tariff they're more than likely to get pushed out of the market in favour of more innovative pricing structures,” Hill warns. If (or when) the temporary price cap fails, it could be the case that government will intervene to promote energy as a service. Even if it doesn’t, standardisation of pricing via the cap (which could simply see suppliers raise their costs to the level allowed), switching may no longer offer an effective means to save on bills, paving the way for a new service model to emerge. And with more energy resources expected across both C&I and domestic properties – solar PV, heat pumps, energy storage, electric vehicles – the stage is set for innovators to come to the fore. David Pratt joined Solar Media in November 2015 after spending two years writing for the construction sector. He had a particular focus on energy efficiency and government policy, before moving into the renewables and clean energy sector.